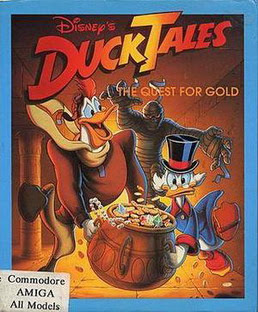 Original Commodore 64 version: coded by Zach Townsend - graphics by Andrew Sleigh and Martin McDonald - music by Jonathan Dunn. // ZX Spectrum conversion: coded by Sean Pearce and David Lyttle - graphics by Andrew Sleigh and Mark R. Jones - music by David Whittaker. // Commodore Amiga and Atari ST conversions: coded by Sean Pearce and Colin Gordon - graphics by Sharon Beattie, Steve Wahid and Mark K. Jones - music and sound effects by David Whittaker. // Amstrad CPC conversion: coded by Sean Pearce, David Lyttle and Giles Weatherup - music by David Whittaker. // Apple ][ and DOS conversions by Quicksilver Software: coded by Lennard Feddersen - artwork by Walter Holland, Shann Chastain, Arlene Caberto and Nancy Nakamoto. // NES conversion by Sunsoft. Since 1979, video games have been made based on movies. The year 1982 saw the first proper licensed video game based on a movie: Raiders of the Lost Ark on the Atari 2600. 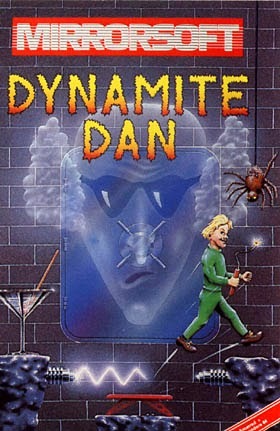 Since then, there were many big hit movie-games and some less big, like Alien from Argus Press, Rambo: First Blood part II and The NeverEnding Story from Ocean, Back To The Future from Electric Dreams, A View To A Kill and Friday the 13th from Domark, Ghostbusters from Activision, The Evil Dead from Palace Software and many others. In 1986, Oliver Stone wrote and directed an award-winning war drama called Platoon, currently at #149 in the IMDb Top 250. 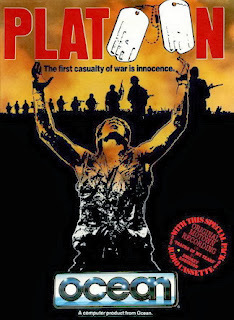 The movie is not so much about the action and bloodshed, but instead focuses on the duality of man and the psychological impact a young man faces when put on the battlefield of Vietnam. Since the movie was such an enormous blockbuster, the game industry immediately sensed a good tie-in license for a game. Of course, it would have been impossible to make a war game based on something as abstract as psychology, so Ocean Software designed a fun multi-genre jungle shooter based on some of the more actiony scenes from the movie. That should work, right...? 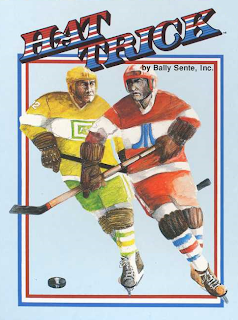 Released in the United States as "The Sentry". Created and programmed by Geoff Crammond for the BBC Micro, and converted by himself for the Commodore 64 and Amstrad CPC. 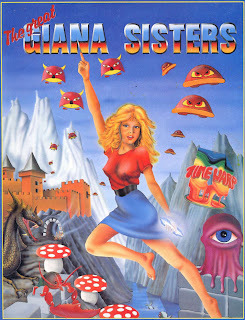 Converted for the ZX Spectrum in 1987 by Mike Follin. Converted for the Commodore Amiga and Atari ST in 1988 by Steve Bak. Converted for the DOS in 1989 by Mark Roll. Music for the Amiga by David Whittaker. 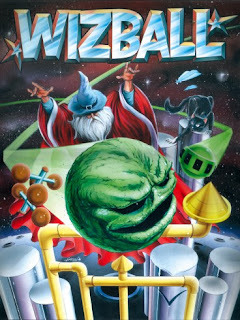 Loading screen for the Amstrad CPC and Commodore 64 by Bob Stevenson. 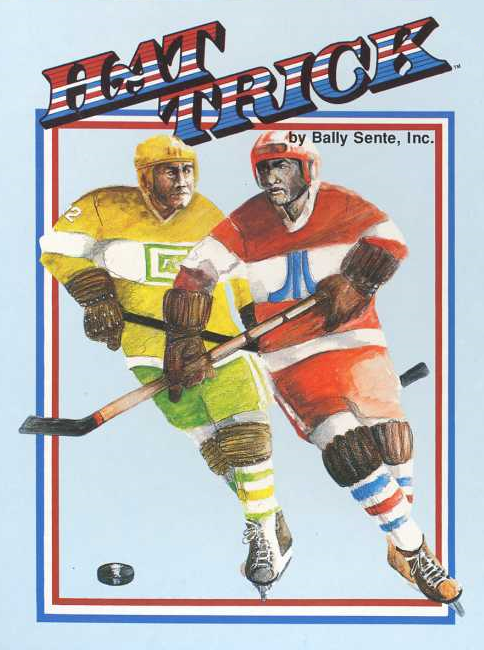 This is the second time in my blog's history to feature a game by the great Geoff Crammond. 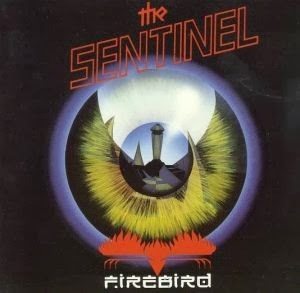 The reason why I'm writing about The Sentinel now is because I feel it hasn't had enough exposure lately. The last time any larger collective was interested about this game was probably in 2006, when two different programmers were working on a remake of the game for the Retro Remakes competition, both of which were rather nice. It's not really one of my favourite games as such, because the original game's controls kind of put me off, but it's definitely one of my favourite concepts ever. The sequel, Sentinel Returns, from 1997 for the PC (Windows 95) and the original PlayStation, was more my thing because of the mouse aided control system and better graphics. Whatever my personal opinion on the game is, the general opinion seems to be very generous. Although I couldn't find any rating numbers for the BBC Micro and DOS versions, the C64 version has been given a score of 8.3 by 97 Lemon64 voters; the ZX Spectrum version has a whopping 8.53 from 206 WoS voters; CPC Game Reviews has given it a 9 out of 10; 77 Atarimania voters have given the ST version a measly 5.9, and LemonAmiga has a score of 8.1 with 41 votes. In part 2, we left off somewhere around 1997 or thereabouts, and were moving towards a more commercial game industry for the PC and console machines. 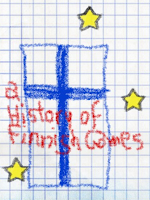 We still have a few surprises to look forward to, and much ground to cover, because this will be the final entry in my version of such a history lesson. 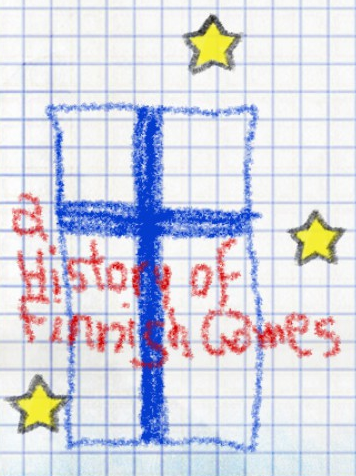 For this occasion, I drew that picture with Crayon Physics Deluxe, which I will talk more about later on in this entry. Of course, if some unexpected new information turns up, I'll make an appendix of sorts later on when I feel like. But for now, let's head on for the turn of the millennium and see what's happening. Developed by P.Z. Karen Co. Development Group and Logical Design Work, based on an original concept by Magic Partners. 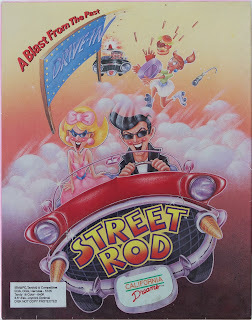 Published by California Dreams for DOS, Commodore Amiga and Commodore 64. Street Rod has earned its place in gaming history by being the first 3D first-person car racing game with the ability to fix and modify your cars. The creators also had enough sense of style to place it in the year 1963, when rock'n'roll was the hip thing and everyone who was everyone was apparently street racing with their hot rods. 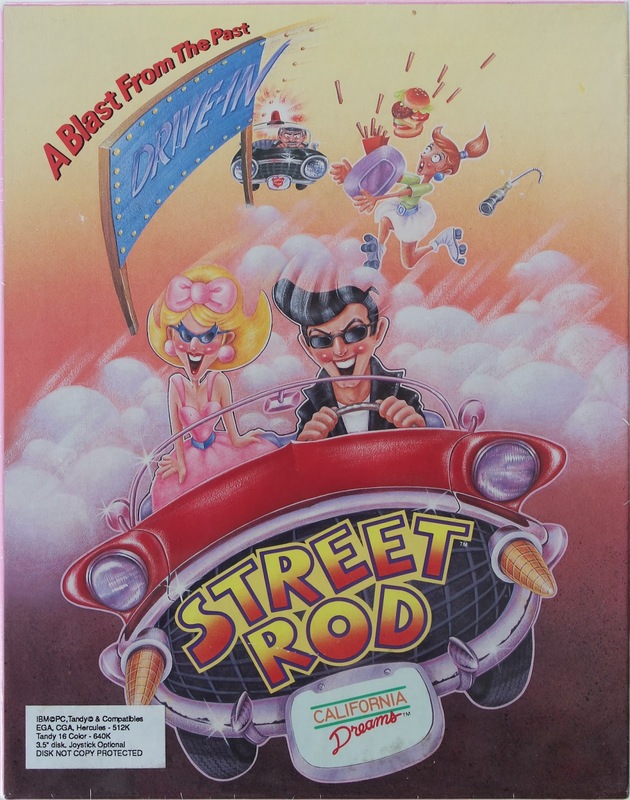 At Lemon Amiga, Street Rod has been rated with a 8.27 score from a total of 74 votes, 49 voters at Lemon64 have given it 8.3, and at Abandonia, 6189 people have rated the PC version an average 3.3, while the editor has given it a 4.0 out of 5. It's not necessarily one of the greatest or most valued games ever, but it certainly has a good cult following, with at least two sequels in the making by indie developers. For a serious retrogamer, it's important to be able to load up any kind of games on any machine on any sort of available equipment, not just the ones you're used to handling. So before I finish up with my latest comparison, I decided to do a list of loading commands for as many computer systems as necessary, because I had a rough time finding every command on the internet. It's not only for your convenience, if you want to try out some of the other systems to what you're familiar with, but also because it's easier for me to keep a good list available somewhere other than my harddrive - you never know when something might accidentally get lost. Also, somewhat inspired by the struggles James Rolfe, probably better known as the Angry Video Game Nerd, seems to have with his Commodore 64, I'll throw in some additional useful information to go with the commands. I'll start with the most familiar ones, and go progressively more difficult. 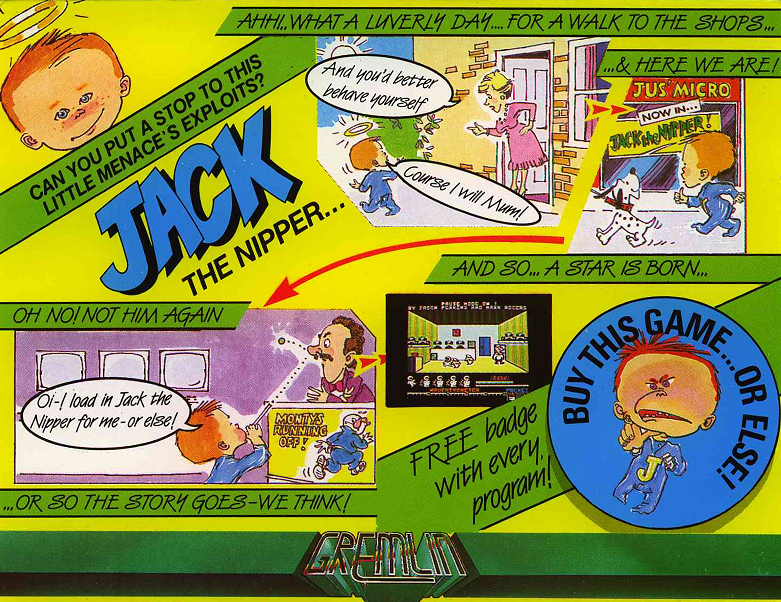 Written by Chris and Tim Stamper for the ZX Spectrum 16k. 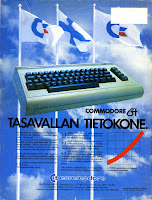 Converted for the Commodore VIC-20 (1983) and BBC Micro (1984) by Ashby Computers & Graphics Ltd., but details are unknown. Jetpac is in many ways an historic game. 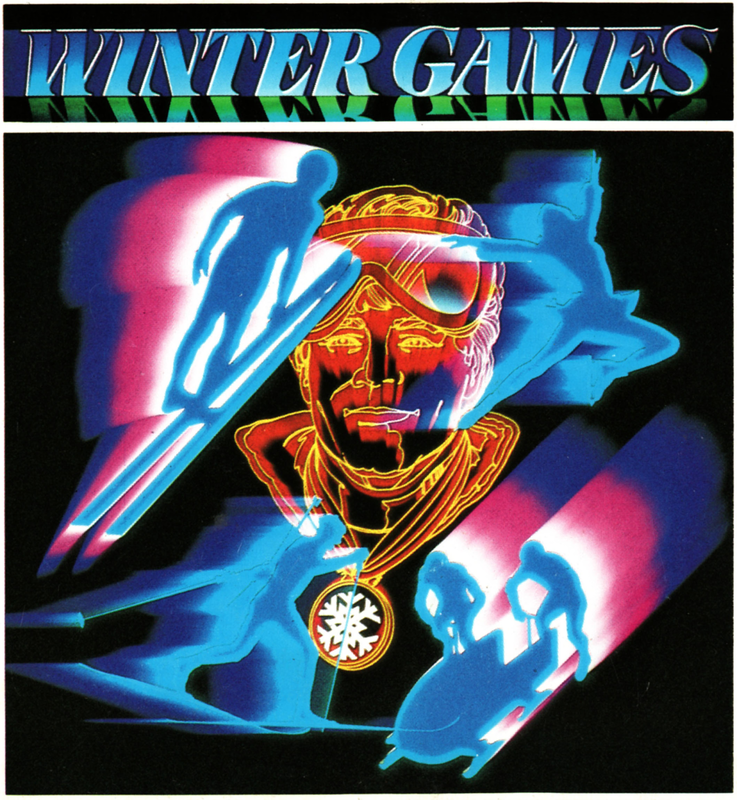 For one, it's the first release from Ultimate Play The Game, currently known as Rare. Second, it's the first game ever to be presented the Golden Joystick Award for Game of the Year in 1983. (Additionally, Ultimate caught the prize for being the Software House of the Year.) 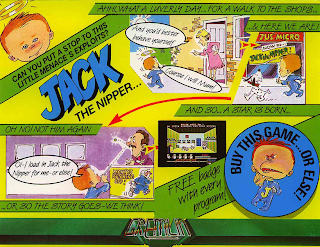 Somewhat historically in a more questionable way, Jetpac was one of the very few and first titles for the Sinclair machines that didn't get an official conversion for the Commodore 64, likely because they didn't want the Spectrum's "killer app" of the day get ported to the competing machine, but who knows. 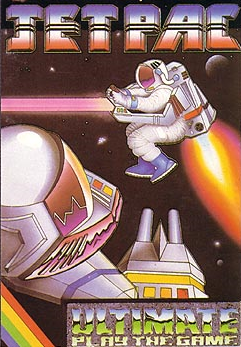 In today's retro setting, Jetpac is placed at #31 at World of Spectrum voters' Top 100 list (tied with West Bank, Flying Shark and Abu Simbel Profanation) with a rating of 8.42 with 460 votes. I didn't have much luck finding any top lists for either BBC Micro or VIC-20, but really, for these two machines, you're lucky if you can find anything at all, really. The VIC version seems to be rather kindly spoken of, but the BBC version seems to be such an obscurity that I couldn't find much comments on it. So, as classic as it is on the Spectrum, the two other versions are rarely spoken of, and I intend to try my best at finding out why. 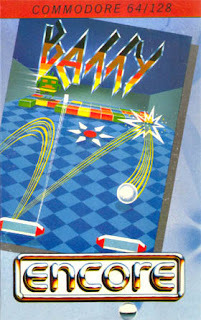 Released to the arcades in Japan as "Burnin' Rubber" and to the rest of the world as "Bump 'n' Jump". 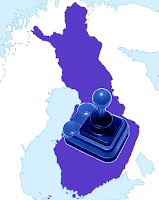 - Atari 2600 and Intellivision by Mattel Electronics in 1983 as "Bump 'n' Jump"
- Commodore 64 by Colosoftware in 1983 as "Burnin' Rubber"; by Bubble Bus in 1984 as "Bumping Buggies"; and by IJK Software in 1984 as "Krazy Kar"
- Nintendo Entertainment System by Vic Tokai in 1986 as "Buggy Popper" in Japan and "Bump 'n' Jump" for the rest of the world. Here's an oldie, but definitely a goldie. Currently, at Lemon64, "Burnin' Rubber" has 98 votes and is rated 7.4, while "Bumping Buggies" has 40 votes and is rated 7.1. AtariMania doesn't have it rated, but has several releases of it as "Bump 'n' Jump", all of which have a fair amount of hits and downloads. INTV Funhouse website gives it excellent marks. Coleco and Nintendo reviews and ratings are stupidly hard to find, but they seem to be getting average marks overall. by Tokuro Fujiwara & Tamayo Kawamoto. 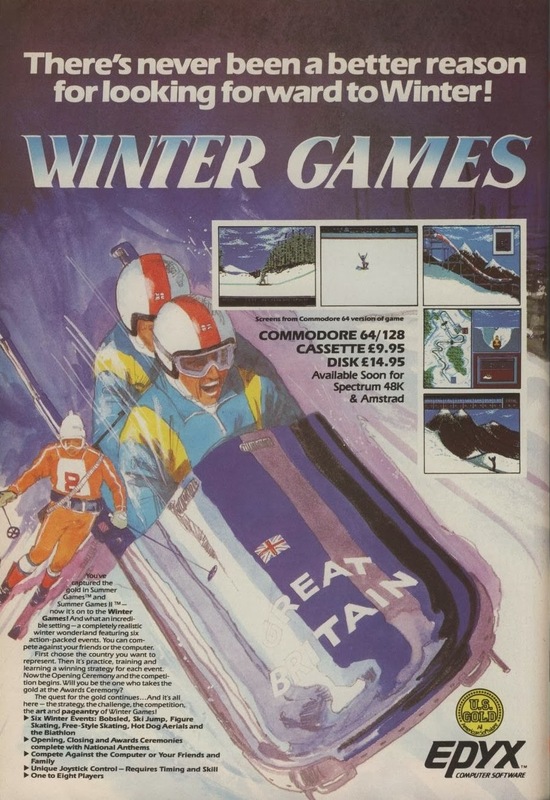 - Acorn Electron, Amiga (1989), Amstrad CPC, Atari ST (1990), BBC Micro, Commodore 64 and ZX Spectrum at Elite (check Wikipedia for a list of developers) in 1985. 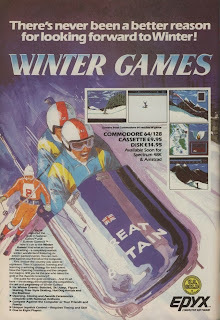 - Commodore 16 plus4 at Elite by Richard Ikin and Ray Tredoux in 1986. - MS-DOS at Data East by Quicksilver Software Inc. in 1986. - Nintendo NES version by Capcom in 1986. - Apple ][ at Data East USA in 1987. - Intellivision by John Tomlinson, Connie Goldman and David Warhol for INTV in 1987. - MSX at ASCII in 1987. - Atari 2600 at Activision by Mike Reidel in 1988. - Atari 7800 and 800 XE by Sculptured Software in 1989. Prototype was found of the 800 XE version, and released to the internet in the 2000's. Another true classic to compare. This time we have our first arcade machine on our hands. 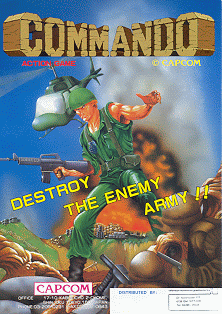 Currently, Commando is spotted at #91 with a score of 7.9 with 252 votes at Lemon64 (on a list with at least 100 votes); 314 WOS voters gave rated it 8.48, and it's placed at #10, tied with 4 other games; AtariAge has compiled an average score of 82% for the Atari 7800 from external reviews; Atarimania users have voted it 7.1 out of 10 on the ST and the 800 XE: 59 LemonAmiga users have voted it surprisingly low at 5.86; CPC Game Reviews has given it 7 out of 10; DOS gamers seem to think their version the worst of the bunch, but I couldn't find ratings anywhere and the Atari 2600 version seems a bit obscure, so people haven't voted on it at Atarimania. The rest of the bunch seemed pretty impossible to find reviews or ratings of on the internet. So it's a bit of a hit and miss, this one, depending on the platform. So, with that amount of versions to get through, prepare yourself for another big one. 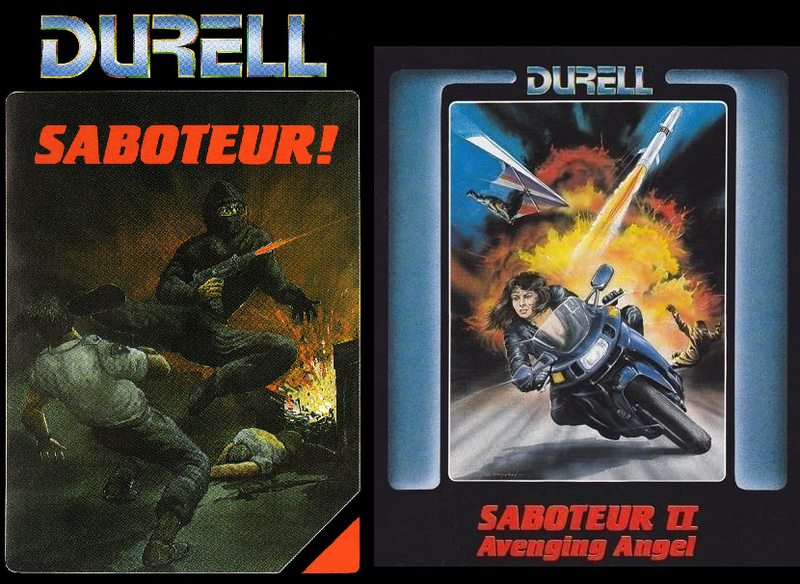 For today's entry, I've picked two early Gremlin titles, of which the other one is a bit more obscure one. 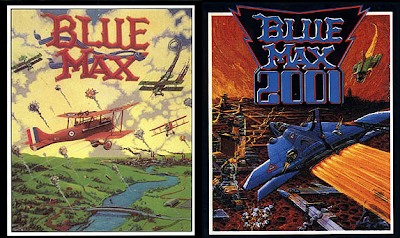 Neither of these games appear on any Top 100 lists currently, but have their own cult following. Monty currently has 8.09 with 45 votes at WOS, and 6.6 with 44 votes at Lemon64. Potty Pigeon has 7.42 with 19 votes at WOS, and 6.0 with 34 votes at Lemon64. That seems to give some idea of the end results, but both were my favourites on both computers when I was a kid, so why not give them a little tribute here anyway. Hope you'll enjoy. Original by Geoff Crammond. 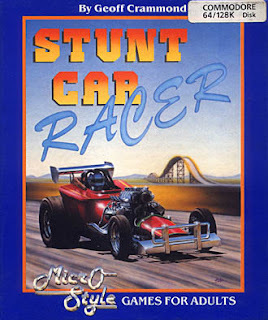 Released in the U.S. by Microplay as "Stunt Track Racer". Commodore 64, Commodore Amiga and Atari ST graphics by John Cummins. 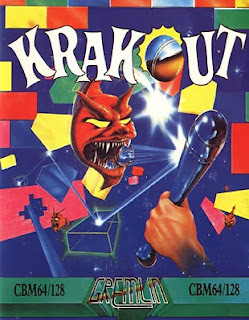 Converted for the ZX Spectrum (1989) and Amstrad CPC (1990) by Pete Cooke, and for the MS-DOS by Tim Ansell from The Creative Assembly. Another proper classic under the looking glass here. A truly unique racer at the time, which only recently has gained some competition in the form of the TrackMania series, but the thirst for a new version or a sequel seems to remain unquenched forevermore. 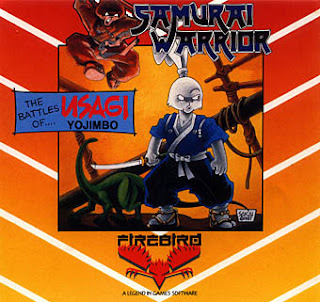 Currently, the game is placed #49 at Lemon64 Top 100 (for games with at least 100 votes); was placed #85 on the YS readers Top 100 in 1993, is currently out of WOS Top 100 but rated 8.20 with 98 votes; CPC Game Reviews gave it a 9 out of 10; Lemon Amiga Top 100, with similar voting requirements as Lemon64, puts it on #43; Abandonia rates the DOS version 3.2 out of 5; and finally, Atarimania Top 100 of Atari ST games by rating places it at the #70 spot. Original by Ron J. Fortier and Kelly Day. 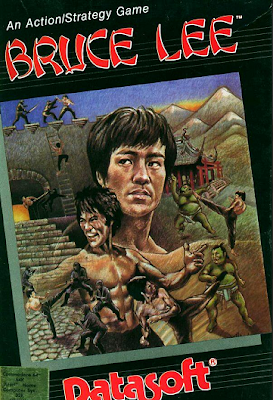 To properly start off this blog, let's go for what most of us retrogamers would call a true classic. Currently, on the Lemon64 top 40 list, it's on #23, World Of Spectrum has it tied on spot #55 with 5 other games, Atarimania has it on spot #21, CPC Games Reviews gave it an 8 out of 10, and at Generation-MSX, it has four stars out of five. For the other conversions, I found it too difficult to find any reviews, but it's not a seriously bad game on any platform. Just a seriously flawed conversion on some of them. UPDATE, 6th of July, 2016: the newish Sega conversion was released a couple of years after I originally wrote this comparison, but as I mentioned in the relevant Updates entry, the remake shall not be featured here. Less biased opinions, more balanced reviews. The purpose of this blog is to compare an endless stream of retro games, as reasonably as possible, play them on every gaming machine I can think of, either on a real machine or an emulator. I've seen too many blogs and review websites that are clearly biased towards the machine of their preference. When I was a kid, my first gaming devices were a Donkey Kong Jr. Game & Watch handheld game, then a 48k ZX Spectrum, then a Commodore 64C, before finally getting to the modern age of PC gaming. The first machine I ever played on was Atari 2600. Alongside my own machines (which, of course, my parents had bought), I had a fairly good access in the neighbourhood to machines like the MSX, NES, SNES, Sega Master System, Sega Megadrive (Genesis), and Commodore Amiga. Later on, I had most of these machines myself, and had an easy access to Nintendo 64, Atari Jaguar, the Sony Playstation machines and some others. All in all, I had a pretty balanced view of what was going on in the biggest scenes of the gaming world, so I couldn't get too biased about what I had. Since this is a retro gaming blog, I won't be getting any closer to modern gaming than the PS1 generation here, and even THAT is stretching the idea a bit. Here you can see a (mad photoshop skillz!!) collage of most of my equipment. 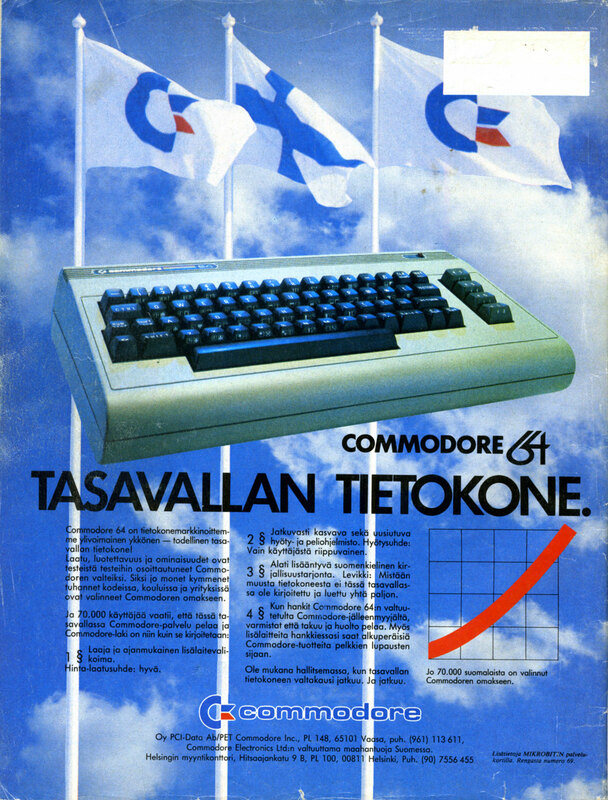 My current favourite old machine is the Commodore 64, mostly because of the modern equipment I have been able to acquire for it, but I will always have a soft point for the ZX Spectrum. My favourite new machine has been for many years, and will continue to be, a PC, preferably equipped with a Windows release of odd number, until Microsoft stops building their GUI's for people to use. I will begin posting some actual content next week. If you have any game review requests, gimme some comments.